On April 17, 2001, I made a list of places I’d like to visit and Peru was on it because of Machu Picchu. I had just celebrated another birthday, and the scene of my personal strategy planning session was a departure gate in Chicago’s bustling O’Hare International airport. Back then, I used to set 5- and 10-year goals for things I hoped to achieve by a certain age. Instagram, the popular photo and video-sharing social networking service we all now turn to for travel inspiration had not yet launched (it did so on October 2010), and it was a little under three years before Facebook burst on the scene in February 2004. That’s clear proof my yen for seeing this historic site was not being influenced by any current travel trends, wouldn’t you agree? 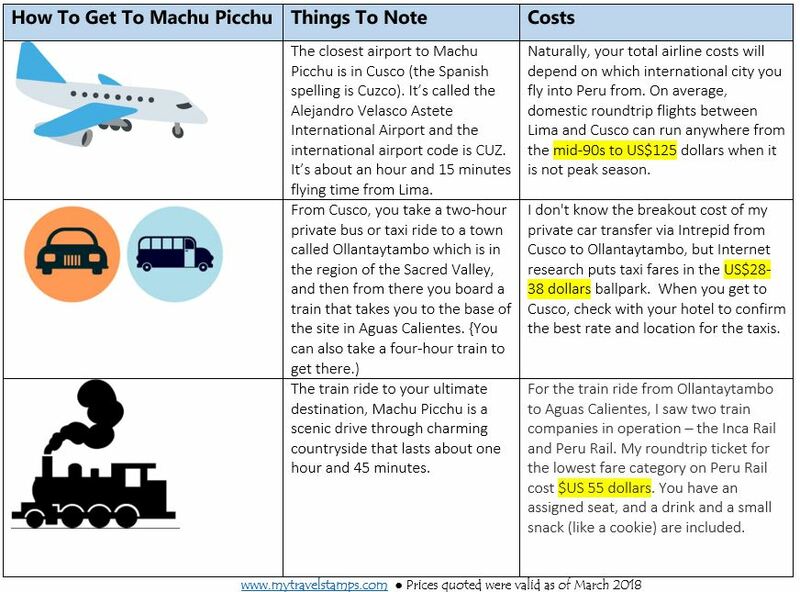 This weekend, as I got ready to document my insights and tips on traveling to Machu Picchu, I glanced at the date on my laptop and realized it was April 29, 2018. Wow, I thought to myself, this trip has been a long time coming. Dreams – even if delayed – do come true! Below are the answers to everything I thought about and asked about before I went. I’ve also thrown in some on-the-ground insights for you as well. Please read this post and bookmark it if you plan to go. For the best time of year, most people will tell you to book your trip for April to mid-June, or between September and October, since those months fall in the drier seasons and that time-frame keeps you safe from the avalanche of summer tourists. I’ve heard the last two weeks of June to the end of August are super packed. Peru’s rainy season peaks between late January and March, so you can expect sporadic, light or heavy showers and fog at any time. I was there during the third week of March, but I got lucky because I got to tour the site and take as many pictures as I could before the skies opened up and rained down liquid sunshine. For the best time of day, I’d recommend going during mid-morning hours (ideally between 8-10:30 a.m.) or in the afternoon from 3-4p.m. The busiest time is from 11 a.m.-3 p.m. If you are an early riser, you’ll be happy to know the first buses leave at 5:30 a.m. to take you to the site’s entrance. However, visibility isn’t great that early in the morning due to misty weather. Please note that not all of your travel has to be done in one day. 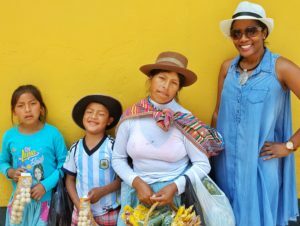 I spent two full days exploring Lima, and stayed one night in Cusco before moving on to the Sacred Valley region to allow my body time to acclimatize to the changes in air pressure. 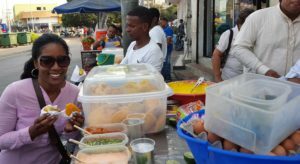 Breaking up the journey also gives you time for additional things like wandering through local artisan markets, seeing other sights, and sampling a variety of drinks made from corn and local cacao beans. After Cusco, I then spent one night in Agua Calientes so I could have a good night’s rest before my excursion to Mapi (that’s the name the locals lovingly use for South America’s most famous ruins). There are simply not enough words to describe the epic greatness that is Machu Picchu. 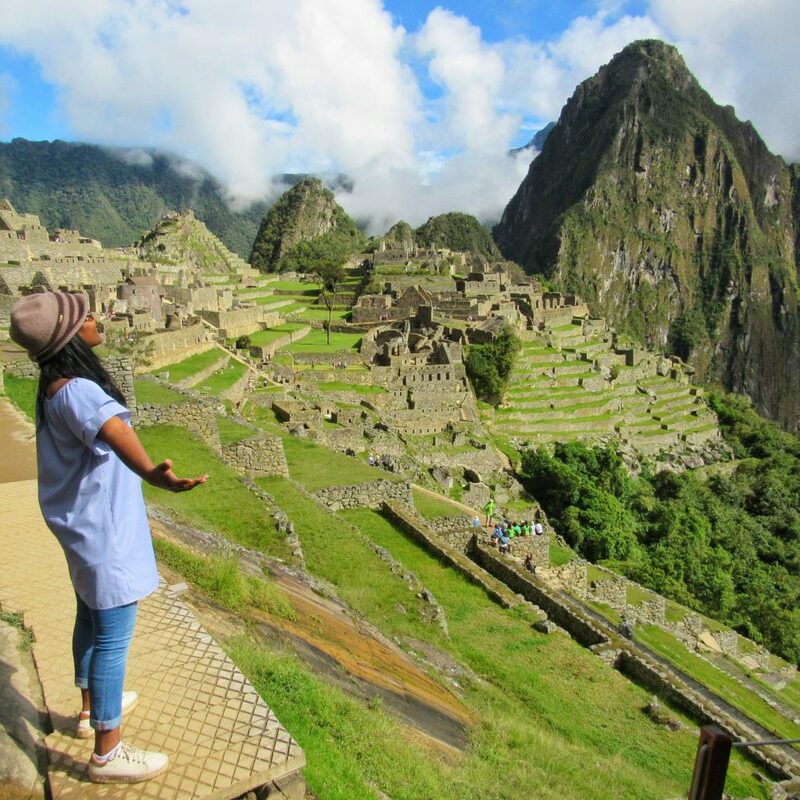 Expect phenomenal views, enlightening insights into the intricacies of Inca history and culture, and that once-in-a lifetime feeling of “I had better soak all of this in right now” as I may never walk this place again. Opening hours are from 6 a.m. to 4 p.m. Plan to spend at least two hours there. The entry fee to the main grounds is 152,00 Peruvian soles (approx. US$47), which you must purchase IN ADVANCE of the day you plan to visit because there is a daily limit to the number of tickets sold. You do not want to get there and be faced with no availability. 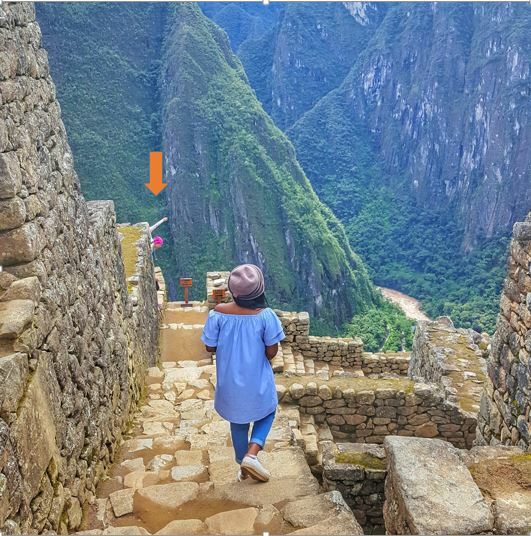 This ticket price allows you to enter the grounds twice, and it gives you access to the main ruins you see in pictures, as well as to the Inca Bridge and the Sun Gate Trail. 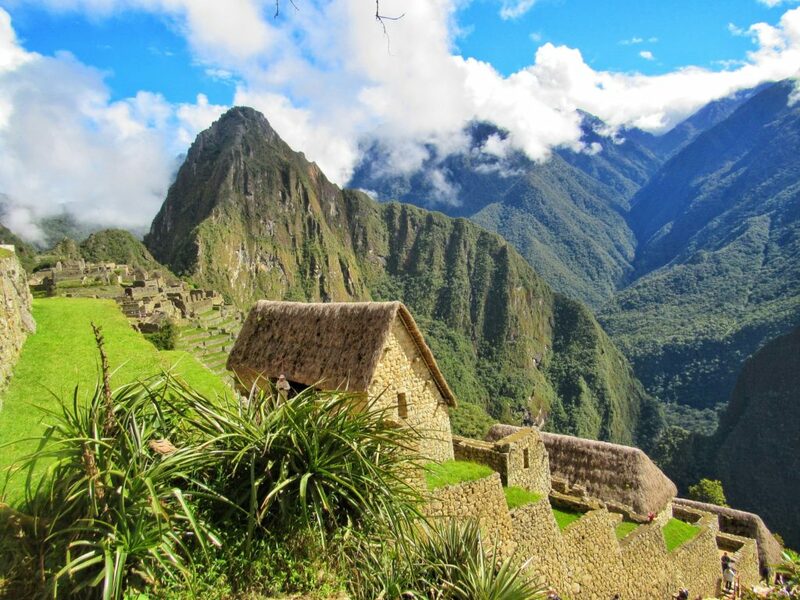 It does not allow you to hike the Inca Trails to the top of Machu Picchu Mountain or Huayna Picchu. 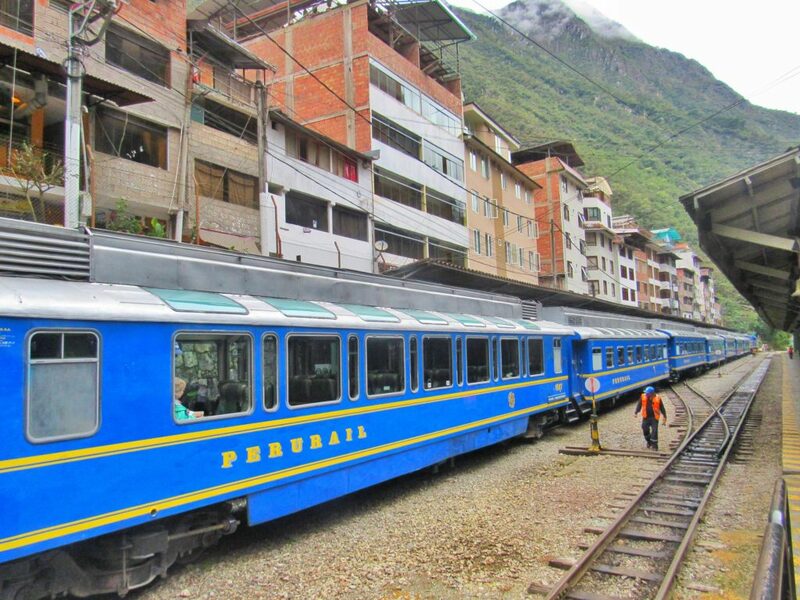 Tickets can be bought through a tour company, travel agency, in person in Aguas Calientes, or online. I found a useful guide to buying tickets here. You’ll be asked to show your passport on the train, bus, and at the entrance. No matter what you do, it will eventually get crowded and several guides will approach you to offer their services. The price varies based on the number of persons in your group. Altitude sickness is a very real possibility. I didn’t have any issues while touring the main grounds which are about 7,970 feet/2,430 meters above sea level. I just kept an even walking pace and took breaks, if needed. (However, I had to walk very slowly at the higher altitudes in Cusco and Ollantaytambo as I often found myself feeling out of breath.) 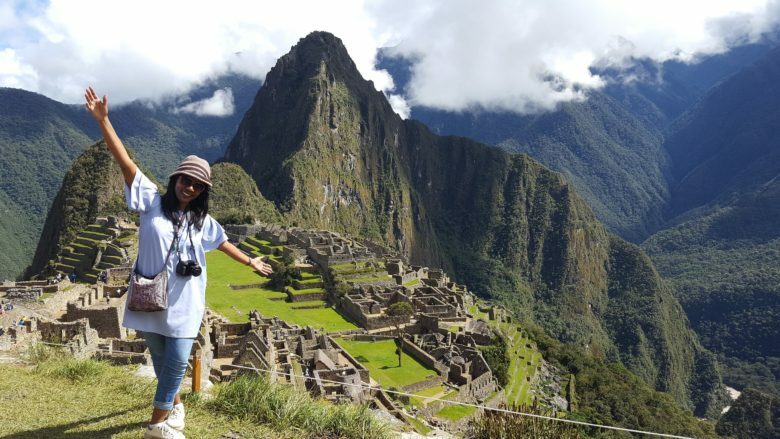 If you plan to hike the Inca Trails, some sections go above 9,200 feet/2,804 meters, so you could experience symptoms like dizziness, headaches, muscle aches or nausea – regardless of age, gender, or level of fitness. I’d advise you to speak with your doctor before your trip in order to see what medications and tips you can use to better prepare for and/or avoid any adverse health effects. Plan to pay two soles if you need to use the bathroom. Budget for a charge of three soles to store your bag at the entrance, if you need to. It’s an invigorating walk around the site, so anything over 10 pounds/5 kilos is not encouraged. There’s a ban on the use of tripods, although selfie-sticks are allowed. You’ll be bombarded with multiple photo opps, so pack extra batteries and memory cards for your cameras and phones. Look for the booth with the optional and complimentary, do-it-yourself passport stamp at the exit. Hotels: This number will vary depending on the type of accommodation selected and personal travel style preferences. Three-, four- and five-star hotels are available in addition to Airbnb rentals and hostels. 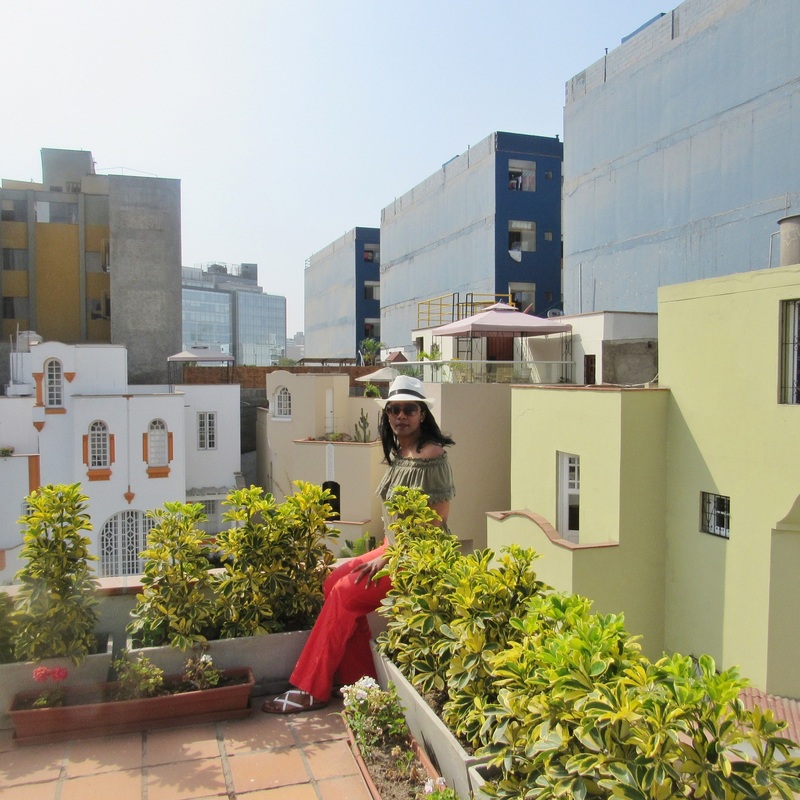 In Lima, I wanted something nice that was infused with local character, so I opted to stay at a cute little Bed & Breakfast called Hotel de Autor in the coastal and tourist-friendly district of Miraflores. The property has four bedrooms that, as one Travel + Leisure article put it, are “individually designed, mixing vintage artifacts with contemporary furnishings.” Its dining room is a converted garage, and it has a small rooftop garden area and terrace where you can relax after a busy day of sightseeing and enjoy the sights and sounds of the city with a glass of your favorite beverage. The best parts about this property were the short walking distances to many shops and restaurants and the attentiveness of the staff. Miguel Payet was my point person and he was amazing. I paid $112.70 per night, plus taxes. In Cusco, my pre-Machu Picchu night was part of a package deal with a tour company called Intrepid Travel. I didn’t like that hotel very much, so on my post Machu Picchu night in Cusco, I opted to stay at a place that was basic, clean and comfortable. It was called the Estancia San Blas. For an affordable rate of $49.97 per night, plus taxes, I was only a few blocks from the main square. Complimentary buffet breakfast was also included. In Aguas Calientes, I stayed at Hostal Inti Punku Tambo, which was also included in my three-day Intrepid package. The current rate on Booking.com is $117 per night, plus taxes. It wasn’t anything fancy, but it was in the center of town and close to everything. For one night, it will do. Rates were expensive there because the town is at the base of the mountain. Ground Transportation: Costs for the taxis and the train are already outlined in the infographic chart above. 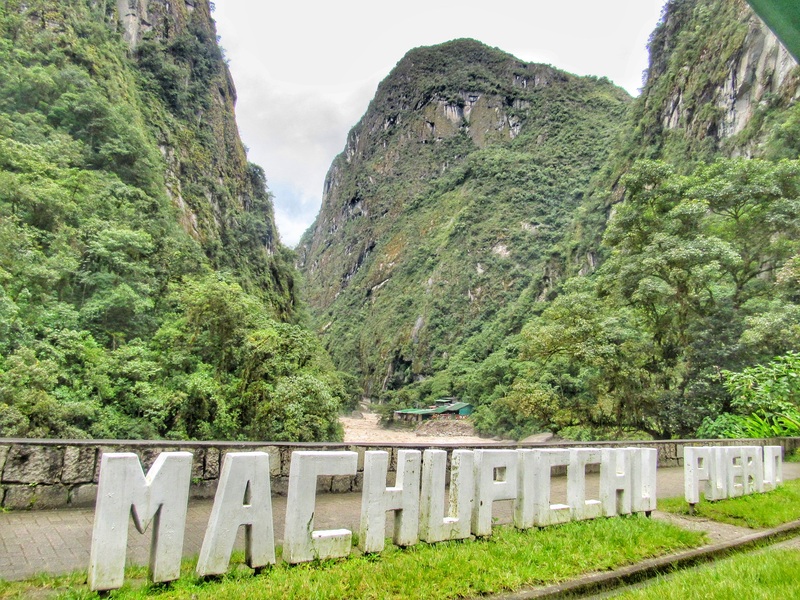 A 30-minute bus ride takes you from Aguas Calientes to the entrance of Machu Picchu. The cost is $US 24 dollars for the return trip. The odd numbers on the train are window seats, so try snagging one of them for amazing views. Arrive at the station at least 30 minutes before your scheduled departure time, because they don’t dally when it’s time to leave. There’s no need to panic if you arrive early and don’t see the numbers on the railway cars. They are put up close to departure time and staff members lead you by groups to your railcar with raised hand signs. 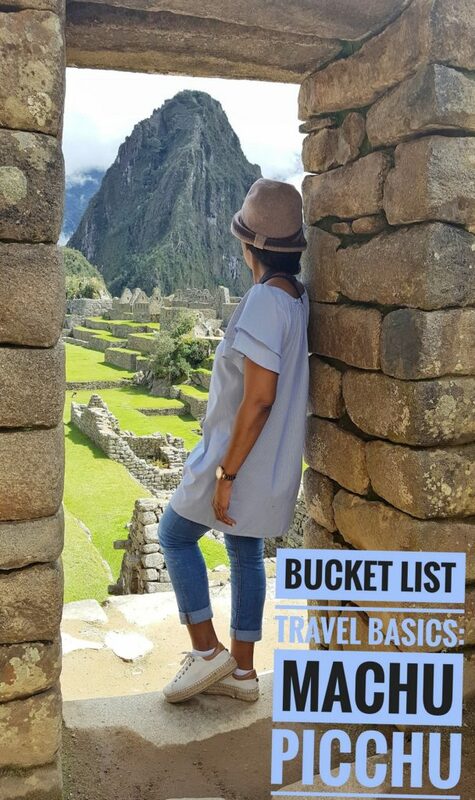 Also, for greater ease in travel, it’s best to leave your wheeled luggage in storage at your hotel in Cusco and just pack a light overnight bag/backpack for your stay in Aguas Calientes. Here’s the clincher: you can either arrange all this yourself, or you can take the easy route and book a short, yet comprehensive tour package, inclusive of local guides and lodging. That’s what I did! My three-day Intrepid Machu Picchu Explorer (Original) package included two nights hotel accommodations; two breakfasts and one lunch; ground transportation via bus and train; a Half Tourist Ticket Pass, which gives you access to selected archaeological sites in/around Cusco (like Pisac and the Ollantaytambo fortress); an orientation walk around Cusco; and the entrance fee to Machu Picchu with a guided tour. Rates start at US$683 per adult in a twin share room. The cost goes up if you’d rather not have a roomie. If you only want help with the Machu Picchu portion, several companies offer all-inclusive day trips. For example, while doing my research I found one day tour from Viator that departed from Cusco. It included hotel pick up and drop off, the cost of your train and bus ticket, plus the site’s entry fee. The price started at US$347. That seemed like a lot to me for just one day, but it all depends on your schedule and budget. Whatever you decide to do, I hope you have a memorable time! 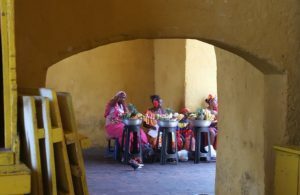 NOTE: You can also read some general tips about Peru here.